The woman was arraigned before the Central Criminal Court in November 2017. AN ARREST WARRANT has been issued for a Sligo woman who impeded an investigation into a killing and was released on bail, despite DPP objections, after the High Court heard that gardaí have “no idea where she is”. Janice Brady (29), with a last address of Maryville Hostel, Finisklin, Sligo, was arraigned before the Central Criminal Court in November 2017. 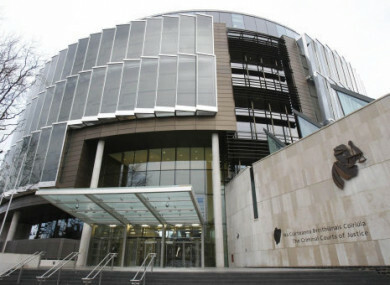 She pleaded guilty to impeding the apprehension or prosecution of a man between 2-3 August 2015, at an address in Sligo, knowing or believing that the man was guilty of a killing. Paul Murray SC, for the Director of Prosecutions, yesterday told Mr Justice Paul McDermott “we simply don’t know where she is”. The terms of Brady’s bail included that she would enter her own bond of €100, reside for a period of six months in sheltered accommodation, remain drug and alcohol free for the six-month period; take proactive steps in her recovery, sign on three times a week at a garda station and observe a curfew from 10am to 6pm. Brady was also required to provide a mobile phone number to gardaí and not visit or live in Sligo except for the purposes of visiting her son. Murray SC said that it’s the State’s case that Brady has breached these conditions. He said Brady, since being granted bail, has tested positive for drugs and hasn’t signed on with the gardaí since 15 February. He said because of these developments, the State was seeking an arrest warrant for Brady in order to revoke her bail. At the time, the State objected to the bail application, with Inspector Tom Colsch telling Murray SC that there was a strong likelihood that if Brady was granted bail she would reoffend and return to her drug habit. Inspector Colsch yesterday told Mr Justice McDermott that Brady has breached her bail conditions. He said the gardaí “have no idea where she is” and he added that she has not been seen in Sligo. Mr Justice McDermott said he was satisfied that there had been a breach of Janice Brady’s bail conditions and issued an arrest warrant for her. On 1 February last, Justice White said he was comforted by a letter from the Peter McVerry Trust offering Janice Brady sheltered accommodation in Drumcondra for a period of six months and he was prepared to release her on bail conditions for that amount of time. The judge said the defendant’s urine analysis had not tested positive for any illegal substance and he was not unduly concerned that she would try to evade justice. Email “'Gardaí have no idea where she is': Warrant for woman who skipped bail after impeding garda investigation”. Feedback on “'Gardaí have no idea where she is': Warrant for woman who skipped bail after impeding garda investigation”.